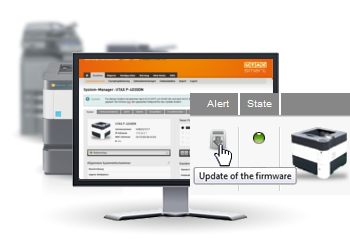 UTAX smart verifies independently whether the status of your UTAX printers and multifunctional devices is up-to-date. The needed updates are performed automatically. Your data is secure due to the safety protocols. 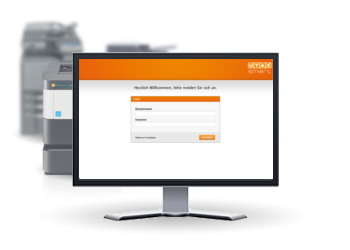 UTAX smart integrates easily in your current system environment. Time-consuming, double maintenance of user accounts is not necessary. The integrated SOAP interface enables an easy connection to your ticket system. 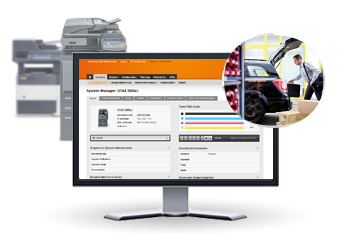 Our appliance securely bundles all of the data from your printers and Multifunctional systems, regardless of type and manufacturer. UTAX smart provides you with easy access to everything you require via a Web browser or mobile device. 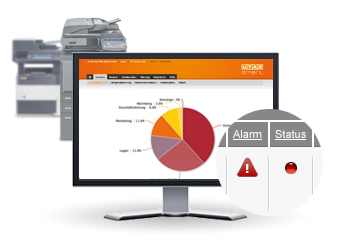 A convenient device overview with status and alert messages can be adapted to your requirements and provides you with an overview of your company’s output systems at all times. Is the toner empty? UTAX smart thinks ahead. 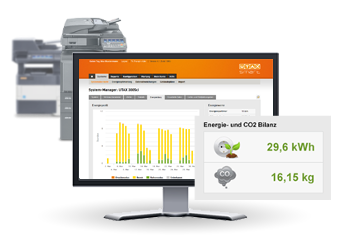 The ability to measure energy efficiency has become an important factor for both companies and public institutions. UTAX smart helps you achieve your environmental objectives. 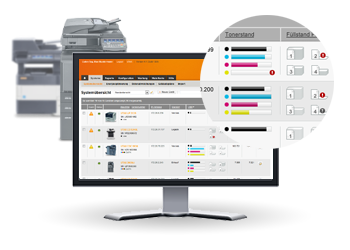 UTAX smart provides you with full transparency on your consumables. 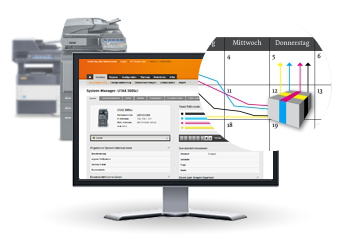 IOM orders toner for every system fully automatically, as required. The integrated order history guarantees you an overview at all times. Integrated reporting allows UTAX smart to support you with extensive analysis and export options. It does not matter whether it’s system data, counter readings, or volumes, everything can be easily processed in external systems. We provide you with a direct line to the retailer. 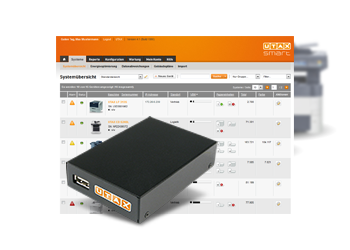 Send your service request via UTAX smart or directly from the output system to your retailer’s service department. Maintain an overview of the status of your service request at all times.